Everyone knows that Tesco isn’t the mighty firm that it once was but it still owns and operates 6,784 stores in cities across the UK. They remain a great firm to work for no matter what sort of job you’re interested in because a career with a supermarket chain gives you options to move up the ladder. The Tesco pay scale is pretty good for the industry. We’ll take you through a selection of jobs to give you an idea of what they pay. If you get a job as a shop floor sales assistant, you can expect to earn anywhere between £6.30 and £7.98 an hour. The entry wage is slightly lower than a comparable job with Sainsbury’s, but the top end is about 50p an hour more so perhaps Tesco value loyalty through long service a little higher than their main competitor. If you work on the checkout, you can expect to earn between £5.37 and £7.42 per hour. Delivery drivers get a wage of at least £6.88 an hour, but with experience and if they’re operating in certain areas of the country like London, they’ll get up to £9.70 for an hours work. At Sainsbury’s, bakery workers get between £6.33 and £9.53 per hour. Tesco can’t match that as they only pay £5.86 to £8.89. 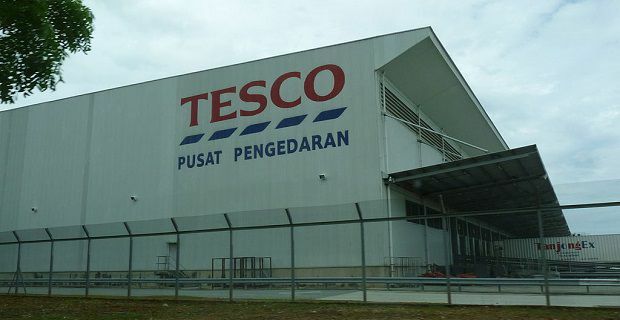 Your best bet for jobs at Tesco is to look at tesco-careers.com. As you’d expect, you can search for vacancies, find out about a career with the firm and apply for work through this site. As there are loads of supermarkets and metro stores in most areas, you’re bound to find something if you’re looking for a job to make some quick money, as long as you’re happy to work in any department on the shop floor.